With summer coming to an end and fall just around the corner, the generally consensus is that you can basically forget about your lawn until spring arrives, right? Wrong. Your lawn is still in need of a lot of attention. In fact, neglecting it now will likely render you a whole year of regret where your yard is concerned. With this in mind, let’s talk about some of the ways you can maintain your lawn this autumn and what it will mean for the health of your entire yard. We’ve said it before but we will say it again, there is no better time to fertilize your lawn than in the fall. When you fertilize at this time of the year, it means that hopefully your lawn will remain green until at least Christmas time (barring any massive snowfall). It will also help to ensure that your lawn holds onto nutrients much longer, which is what it will need to do if you are wanted to have a green yard once spring arrives. 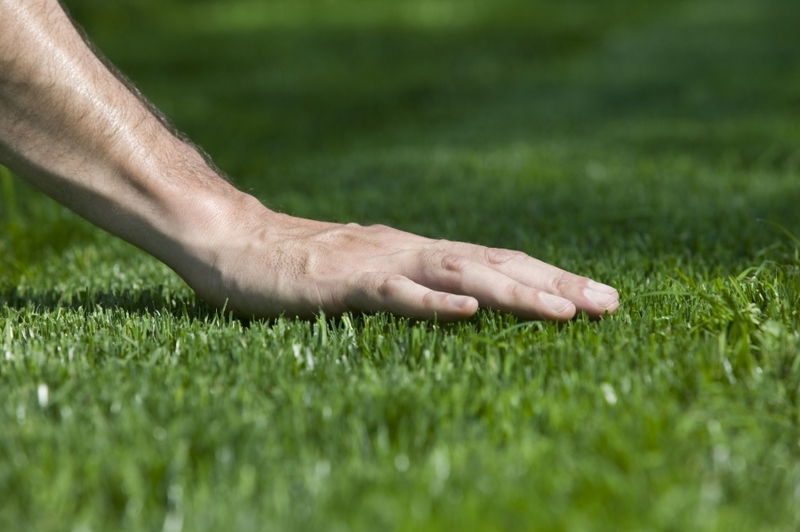 Just because your lawn may not be growing at a rapid pace since summer is almost over, you still need to keep your grass at a reasonable length. Trimming your grass, just like trimming your hair will make it healthier and more resilient over time and throughout the cold season. If you have had a relatively wet end of summer, you may not have to continue watering your lawn. However, if things have been a bit on the dry side, you may want to consider turning your sprinkler system on for a short amount of time each day, as your lawn needs around 1 inch of water on a daily basis to remain healthy. Pay attention to your lawn. If you neglect it like many people do, you may not notice when weeds are taking over your grass. If you see a weed here or there, you probably just want to remove them by hand. However, if there are numerous sections of your yard being overrun by weeds, a spray weed killer may be more helpful. It can often be easy to give up on your lawn after putting so much work into it during the spring and summer. This is especially true if you are not seeing the results you want. Don’t give up just yet though! If you are looking for more ways to improve your lawn this autumn, we would suggest having a sprinkler system installed by the experts at A&C Sprinkler. A sprinkler system will assist your lawn in nearly every season and you will love how healthy your lawn looks for years to come when you decide to make this investment!